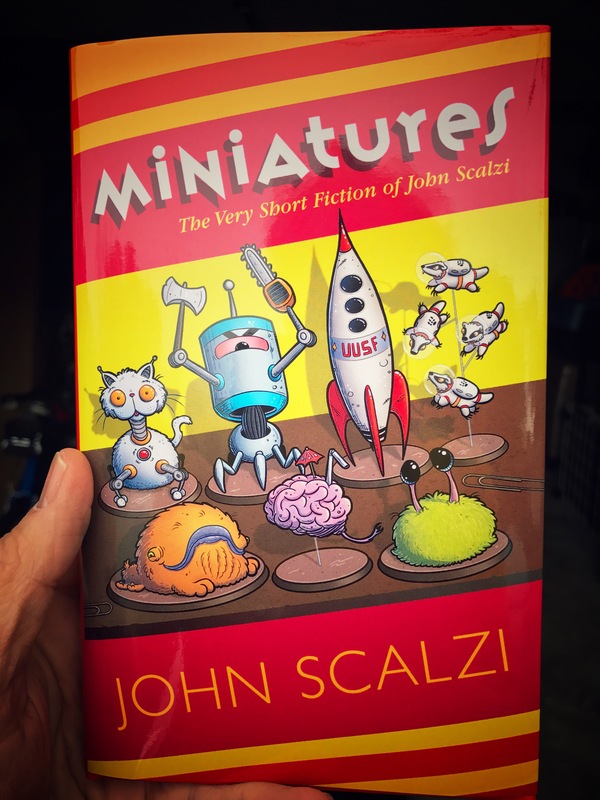 I ordered my copy of John Scalzi’s Miniatures: The Very Short Fiction of John Scalzi when he wrote about it on 31 December. And then I immediately got sick (although I don’t think ordering the book had a hand in that). And then I forgot about it until today when it showed up in the post with all the usual junk mail and a few bills. I opened up the big brown envelope from Subterranean Press with just Miniatures stamped across the front, and then beheld, in all its glory, Natalie Metzger‘s beautiful cover. 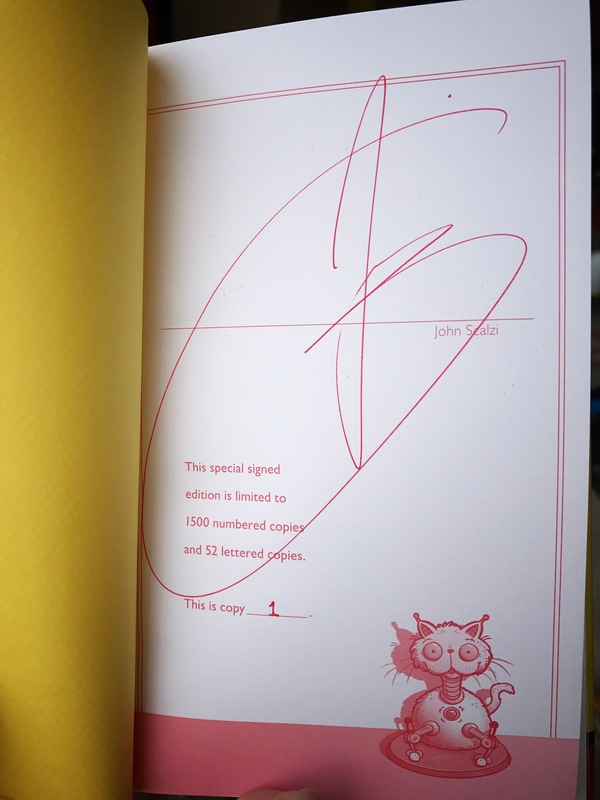 Then I opened up the book and beheld The Scalzi’s signature writ large across the signing page. And that’s when I noticed that my copy is apparently “1” out of the 1,500. Unless, of course, all 1,500 were numbered “1”. Somehow I don’t think it is. In the meantime, until someone comes along and savagely pops this particular bubble, I’ll bask in the glow of having the first of something, anything, in my life. It adds just a bit to the reading. The book is full of what appear to be a nice collection of short stories, the kind I’ve always enjoyed reading, but that appear far to infrequently in print by any author, not just John Scalzi. I have read the first two so far, slowly, individually, savoring each one, like individually wrapped Belgium chocolates. When I’m done I’ll write a “proper” review. I follow John Scalzi on his blog whatever. I tried to follow him on Twitter, but he’s so prolific that he’s too prolific, so I stopped and follow his blog instead. I can keep up with that. I came across this entry, “The New Year and the Bend of the Arc,” which he published January 1st. I found it so compelling a read that I’m copying the entire thing here, as much a personal reminder for the future as anything. We’re facing one of the worst presidents in modern American history, if not the worst in all of American history. As a consequence, I can perform one of two actions; ignore it as much as possible, withdrawing into my own world, or do as much as possible, individually and as part of a larger group to counteract the damage to our nation and our democracy that is surely to come with the Trump administration. Because I also believe the future of the planet, not just our nation, is literally at stake, I have chosen to do that later. How I will do that remains to be seen, but the motivation is certainly there, if not the specific action(s). The motivation was certainly there before I read John Scalzi’s entry. John has eloquently stated what I could only viscerally feel. 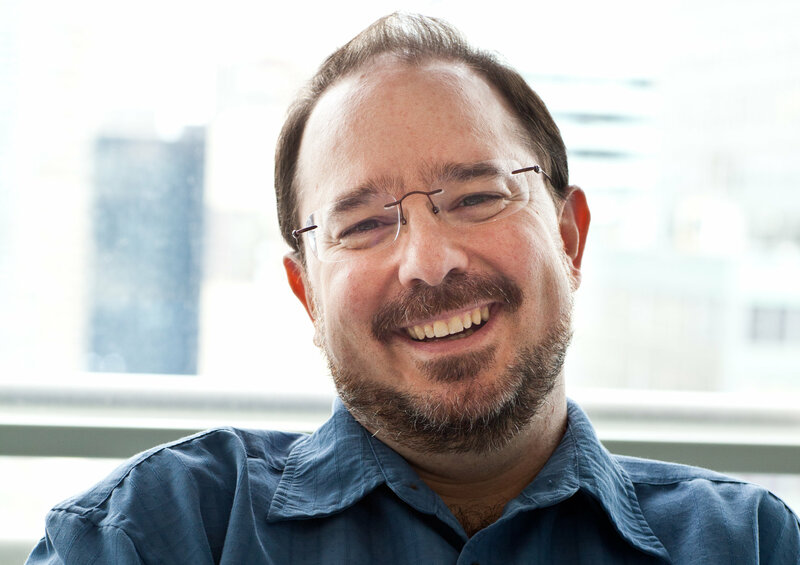 Here, then, is John Scalzi’s complete entry. In the main I agree with that quote. There are things about it, however, that I think many of us elide. The first is the word “long.” I think both Parker and King understood that moral endeavors can be measured in years, decades and sometimes centuries. This is not an argument toward complacency; indeed I think it’s an argument against defeatism and fatalism in the face of setbacks and stalemates. We live in moments and days and it’s often hard to see past them, and it’s easy to believe when we are struck a hard blow that all is lost. All is not lost. The arc is long. Nothing is ever fully decided in the moment or the day. There are years and decades and sometimes centuries yet to go. The arc continues to bend, if we remember that it is long, and that we need to imagine it extending further. We need to imagine that because of the second thing: The arc is not a natural feature of the universe. It does not magically appear; it is not ordained; it is not inevitable. It exists because people of moral character seek justice, not only for themselves but for every person. Nor is the arc smooth. It’s rough and jagged, punctuated in areas by great strides, halting collapses, terrible reverses and forcible wrenching actions. There are those, always, who work to widen the arc, to make that bend toward justice as flat as they can make it, out of fear or greed or hate. They stretch out the arc when they can. If people of moral character forget the arc is not ordained, or become complacent to a vision of a smooth, frictionless bend toward justice, the work to flatten the arc becomes that much easier. Right now, today, here in 2017, there are those working very industriously to flatten out the arc. They have lately seen little penalty for their hate, or their dissembling, or their disdain or greed; they have contempt for justice other than a cynical appreciation of its features when and only when it is to their advantage; they don’t care for anyone or anything outside the close horizon of their own interests. They have won a moment; they have won a day. They will try to win more than that, now, however they can, flattening the arc with hate and fear and greed. On this day, in this year, in our time: Help to bend the arc back. As you do, there are things to remember. Remember the arc is long. It’s not one moment or one day or even a year or four years, even when that moment or day or year seems endless. Remember the arc is not inevitable. It needs you. You are more important than you know, if you don’t give in to despair, to complacency, or to apathy. Add to the moral weight that bends the arc toward justice. You can’t do it alone, but without you the work becomes that much harder. Remember that those who are working to flatten the arc hope you give up and give in. They are relying on you to do just that. Disappoint them. Disappoint them in big ways. Disappoint them in small ways. Disappoint them each day, and every day, in all the ways you can. Do not consent to this flattening of the arc. Remember finally that this arc toward justice never ends. We are human. We are not perfect. We will not arrive at a perfect justice, any more than we will achieve a perfect union. But just as we work toward a more perfect union, so too we bend the arc toward justice, knowing the closer we get, the better we and our lives are, as individuals, as communities, as a nation and as a world. This is a life’s work, not just work for a moment, or day, or year. You won’t see the final result. There isn’t one. It doesn’t mean the work doesn’t matter. It matters. It matters now. It matters for you. It matters for everyone. It’s a new year. There’s work to be done. I hope you will do it, and that you find joy in the work. See you on the arc.